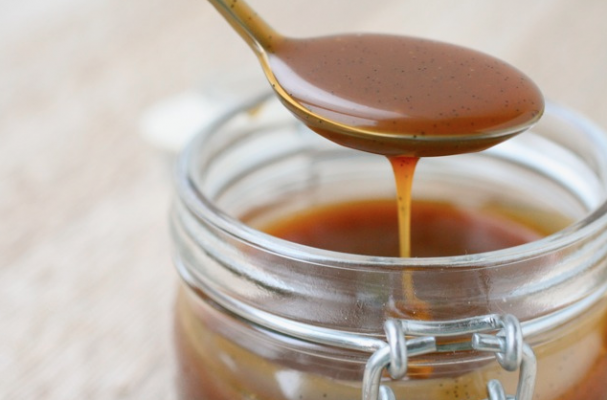 Vegan caramel sauce may be the best dish known I've prepared this holiday season. Forget the candy thermometers, sugar burns and sticky pots, this devilishly good sauce comes together in just minutes - no candy making skills required. All the ingredients are heated in a saucepan and mixed together until well combined. No mess, no fuss. This also makes a great gift for vegans and non-vegans alike. Step 1: Heat a medium saucepan over low heat. Add the coconut oil and maple syrup and whisk until well combined. Next, whisk in the almond butter until mixture is well blended. Remove from heat and season with sea salt and vanilla paste. Step 2: Serve with ice cream, fruit, cake or eat it by the spoonful.